Yesterday I went to the IFA in Berlin. I bought a one day ticket some time ago and I was worrying that one day wouldn’t be enough to see all the great new technologies that the future will bring us. In the end it was indeed a close call — but more because of the confusing ways within the fair ground and connections between the halls. It started off well. I was greeted with some nice technology-driven plant pots that grow seedlings through the different stages. Interesting — nice to look at, but not really a new technology. Just some LED lights and design components. Continuing the path between the exhibition stands I realized I was in the “Home Appliances” section. Want an oven? Toaster? Blender? Oven? Oven? Another oven? Gas oven in retro design looking f*cking steampunk? Sandwich-Toaster? In Retro? — I think you get the point. Ok, I wasn’t here to walk through the white goods section of some electronic market, so I speed up a little. It felt like running through three halls of ovens when it continued with climate controls (same story), vacuum cleaners (oh! oh! a cleaning robot! ), hair dryers. I decided to break the circle and went across the courtyard to the interesting topics — communication and entertainment electronics. I was starting in the gaming section — Razer and similar brands and a lot of kids sitting at computers playing Fortnite. Mobile gaming phones. Some nice equipment. Some 20 tons VR headsets. 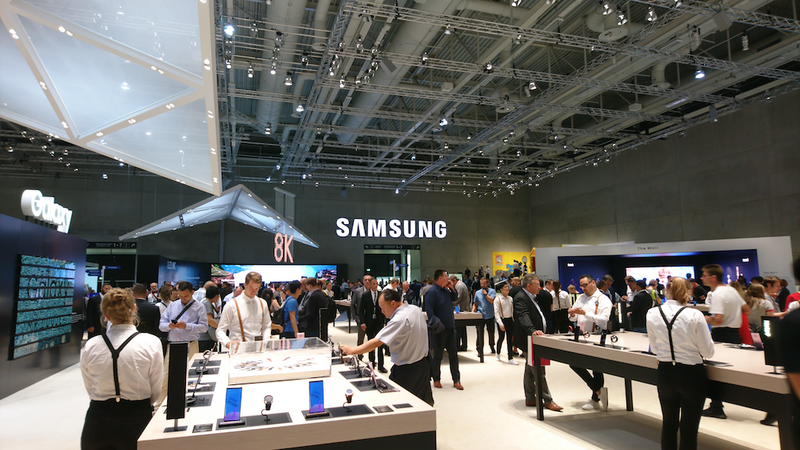 The next sections were branded — Samsung presenting their usual mobile devices. Sony the same. Yes — mobile phones get faster and have nicer screens. And they want convince us they can do cool things with AI. Like recognizing a cat on a photo. I mean — Google does that for my pictures already, why do you need an AI chip in your phone for that? Fitbit has some nice new devices — and want me to convince of Fitbit pay. Which is working with one bank in Germany where I have to get a new credit card to connect it to my wristband for NFC payment. Meh. TVs. Like — a lot of TVs. The hyped 8K TVs. Seriously- nobody needs that. Sony showed some technologies to get more out of the 4K TVs and that is some nice stuff. Like better colors in HDR. All devices of all suppliers are on the same technological level and are mostly differing in design and software. Same same but different. There is no innovation. One copying the other. Integrating Alexa or Google Assistant and calling it innovative. Home automation. You will find like 20 different providers for IOT clouds with different standards and devices that can be connected. Its a mess. Basically its just up to which booth you land up first — they will all tell you the same. All the home security appliances want to force you into their proprietary cloud. “Its much better than using open standards, we can do more with the data”. Yeah — I don’t want you to do anything with my data you know? 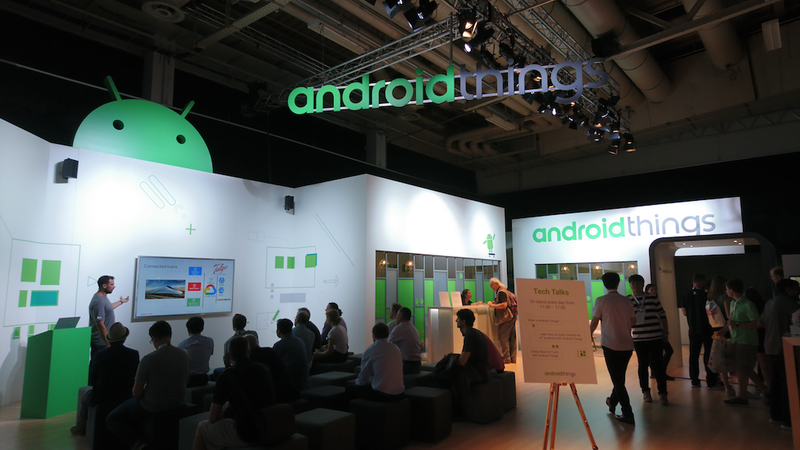 Android Things. That’s cool. That’s interesting. I see the problem with Google basically owning everything. But hey: I already use the Google Services for creating and storing documents. I have an Android phone which would nicely integrate with other Android Things devices. Isn’t it better to have like a few large providers (Apple, Google, and such) instead of having a ton of small ones who are competing each other? Especially when its about communication and technology standards the suppliers should learn to join their forces instead of competing. Join your forces, make something great, make it open source. If everyone can participate there is so much more innovation than letting your employees think about it. 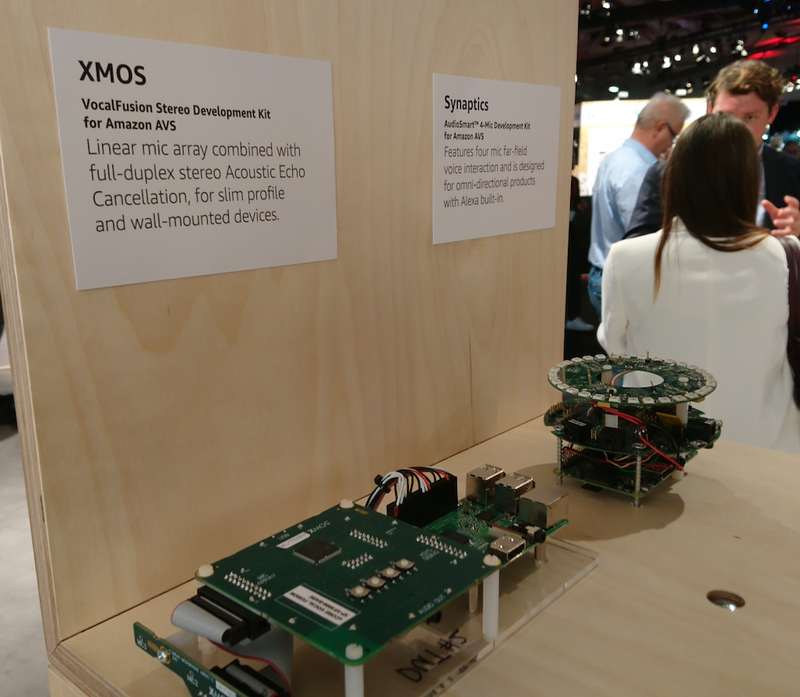 Amazon providing some development kits to integrate custom hardware with Alexa — That’s stuff that we want to see! Then there was IFA NEXT — the startup and innovation hub. It was a nice mix of innovative flair and hardware stuff. Lots of tiny robots. Cool to see but without any obvious use case. So on the supplier site you are missing the innovation and on startup site you are missing the use case (very generally speaking). You don’t have to found a startup for every little niche product you invented. A lot of the interesting lighting devices for example. Why don’t some of the big brands invest in such things and put their knowledge and skills into it? They could create something like Philips Hue which got really popular. Basically I had the same impression as I head when I was visiting the Maker Faire here in Berlin: Some ideas with a lot of potential but everyone interpreting it in their own way and trying to do it better than the others. Instead of joining their forces to bring all the advantages of their approach together. And thats for hardware and software. 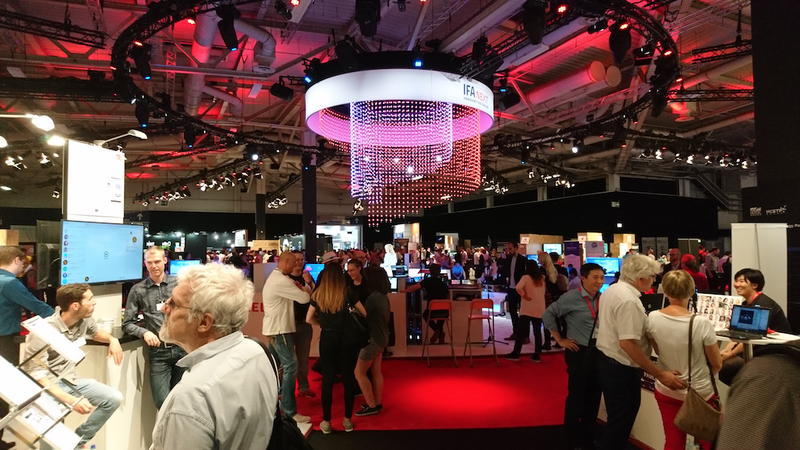 So I left the IFA with some nice impressions but mostly disaffected. I think we could do so much better — not only in technology — if we would join our forces instead of searching for our personal success.